Optimization of Retail System for Integrated Retail Management processes clubbed with a detailed view of the inventory throughout the operational chain is critical. Furthermore, fluctuations in demand, speed of replenishment, effective movement of goods from the warehouse/distribution center to their respective destinations within and across stores, are critical pieces of information that should be made available to the decision makers in the quickest possible time. Most retailers need an end-to-end solution, which provides them a real time view of their operations with centralized control and enables them in faster decision-making. Successful retailers choose retail solutions to manage their retail operations like Loyalty Management, Promotions, Inventory Management, Inventory Planning, Business Intelligence, integration with good backend solution apart from having a great Point of Sale and Store Management. With iVend Retail, retailers get every aspect of IT needs under one roof. Large retailers with hundreds of stores can run the entire iVend Suite of Retail Applications to become more efficient and profitable. While small retailer with 20-30 store chain can also run required iVend modules today and opt for advanced iVend modules as-and-when the retail chain grows. iVend lets you grow at your pace and helps you adopt every innovation in retail industry when you are ready. Thousands of stores in over 45+ countries run iVend Retail to manage their retail operations. Successful retailers have efficient and integrated business processes compared to their competition. Starting from the front-end cash register/ POS, back-office systems, Fulfillment Systems, Customer Loyalty System, Retail Business Intelligence, Inventory Management to Planning Engine, integrated eCommerce and many other retail processes should talk to each other efficiently for successful retailing. iVend suite of Retail Applications manages every aspect of retail operation. Its ability to integrate with almost any ERP & its SAP certified integration along with PCI certified security standard makes iVend retail an unparalleled retail software in the industry. Large retailers with hundreds of stores can run the entire iVend Suite of Retail Applications to become more efficient and profitable. While small retailer with 20-30 store chain can also run required iVend modules today and opt for advanced iVend modules as-and-when the retail chain grows. iVend lets you grow at your pace and helps you adopt every innovation in retail industry when you are ready. iVend Retail, a PCI compliant and SAP Certified solution, is a complete Retail Management Software, seamlessly integrated with SAP suite of Business Management Applications. 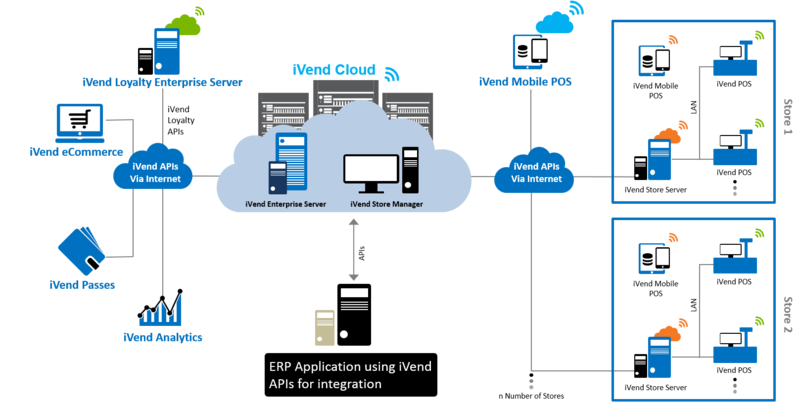 iVend APIs can be integrated with any other modern ERP system for back-end accounting operations. How do you ensure that you are not forced to run clearance sales for the excess stocks left after the holiday season ends? Does your retail staff know that the same SKU can be supplied from your other store when it runs out of stock in a particular store? Are you enabling your retail staff with meaningful and actionable information? Wouldn’t you like to completely remove stock mismatch / pilferages and increase your bottom line? Are you able to increase your revenue per customer by offering up-sells and cross-sells? Didn’t you always want to run points & reward program for your customers? If you can identify with these, you need iVend Retail – a complete Retail Management Application from CitiXsys designed specifically for Agile Retailers. iVend Retail is an end to end Retail Management Solution that covers everything from POS to Back Office to Head Office operations. An iVend Retail setup can range from a Single Store with one POS to a complex multi-store environment with complete integration with your day to day business operations. The solution automates the entire operations, virtually eliminating paper work. iVend Retail allows the management team at the Head Office to have complete control over data at the stores. It extends flexibility at the Head Office to setup and configure the system from one place and therefore simplifies the management of data. iVend Retail delivers a configurable, flexible, and scalable solution that is easy to setup and implement and integrates seamlessly with SAP Business One. iVend Retail is ideal for both high-volume retail operations and high-service specialty stores. High volume retailers will like its quick service interface. High service retailers will appreciate the many complex special order fulfillment options, customer specific pricing, flexible kit combinations, and customized, ticket-building special messaging for the POS screen. iVend Retail offers complete back office functionality both at the Head Office and at the store. It provides the respective managers a total control over activities. In-Store transactions are replicated to the Head Office, allowing quick decision making without any delays. Retail smart & swift. Getting your own online store up and running to sell your products online is no more a challenge. Build your own e-commerce business that runs 24X7 on iVend eCommerce. iVend eCommerce is an e-commerce Platform allowing your customers to buy products on the Internet. The application offers detailed product listings, shopping cart and payment processing features and delivers an exceptional user experience power packed with hundreds of features. iVend eCommerce offers to extend a retailer’s reach to its customers by taking his business online. It is seamlessly integrated with iVend Retail – a complete Retail Management Solution and iVend Loyalty – a point and reward management solution. Increase Customer Loyalty for Repeat Footfall and Higher Returns. Survival in Modern Retail eases with Loyal customers. Creating customer loyalty is an essential function of retail and iVend loyalty helps retailers build customer loyalty with an integrated system for loyalty cards, reward programs and many more. Impressionable reward programs can effortlessly be configured in iVend Loyalty and executed on iVend Retail to add tremendous value to any retail business. iVend Loyalty allows for configuring, managing and tracking all loyalty programs to entice customers and maximizing the merchant brand. iVend Loyalty is a sophisticated, easy to configure, out of the box solution to help a retailer get repeat customers and to also build Brand loyalty which otherwise may take years of concerted effort. Proactive decision making for Successful retailing. 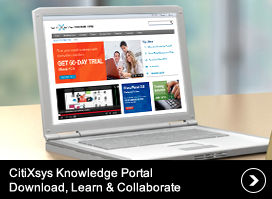 Deriving meaningful & actionable information from the data was never easier. iVend reporting and analytics makes use this historical transactional and purchase information to help you run your businesses better. It leverages transactional data of your retail environment to generate detailed insight which is functional & actionable. For example – Year on Year comparison of Gross Profit contribution of a product line or a customer segment, rolling 3-6-12 month analysis across multiple parameters, seasonal trends leading to effective merchandizing, and many more such dashboards come alive when you plug in iVend Analytics to your retail environment. iVend reporting and analytics is a set of pre-packaged, shrink wrapped Business Intelligence dashboards which seamlessly plug into iVend Retail. Utilizing cutting edge technology, iVend Analytics offers intuitive dashboards across business functions in iVend Enterprise as well as the core Business Management Applications. iVend reporting and analytics runs on any browser, iPhone/iPad or any Android device. Enhance Shopper experience with mobility- iVend Retail Mobility solution helps you build experiences which make shoppers keep coming back. Get your retail workforce from behind the desk onto the Sales floor with our Mobility solutions. Modern day retailers can now service customers anywhere on the shopping floor anytime providing personalized attention and enhancing customer service.